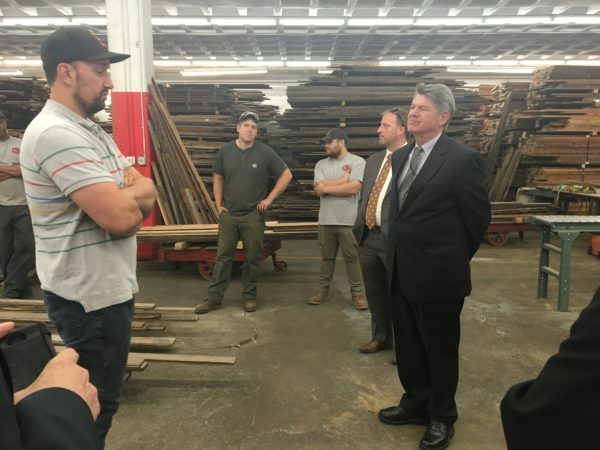 As part of Governor & Cabinet Baltimore City Day, Maryland cabinet members and staff were able to visit and tour some of our social enterprises, including Brick + Board, Details Deconstruction and City Seeds. 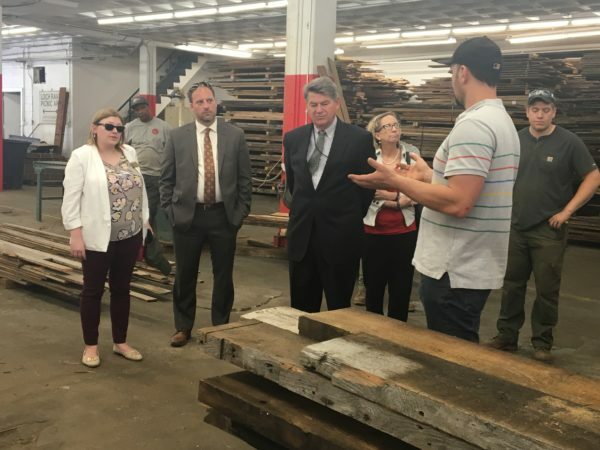 We enjoyed hosting Secretary Holt and staff from the Maryland Department of Housing and Community Development at the Brick + Board and Details Deconstruction Remington office and warehouse, where they were able to learn about how we harvest and process Baltimore wood. 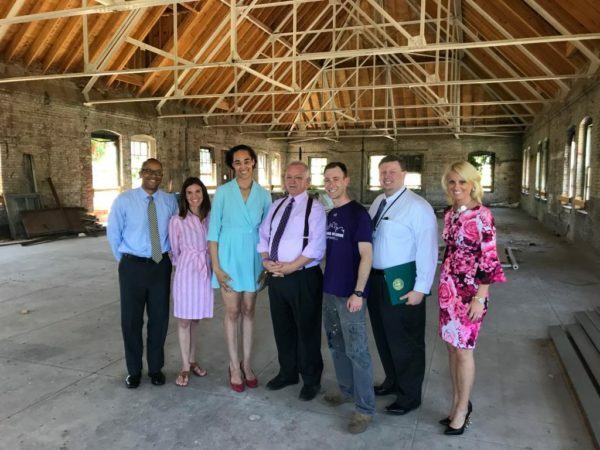 Likewise, we had the opportunity to host Secretary David Brinkley and his staff at the Baltimore Food Hub, along with our partner American Communities Trust. Sec. 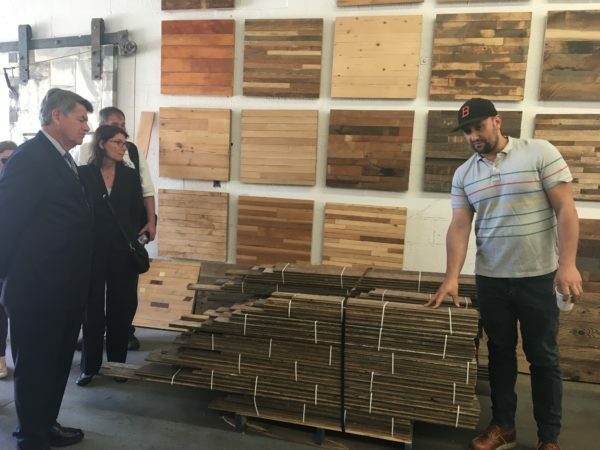 Brinkley and staff toured the finished and developing facilities, including our brand new production and teaching kitchen – and were able to learn more about the work that City Seeds and School of Food are doing at the Baltimore Food Hub – including culinary job training and brand new cooking classes.